Today, Sega Sammy Holdings in Japan, the parent firm of Sega, issued a forecast revision that upped expectations for the company’s profits in fiscar year 2011. Exepected increased sales for pachinko machines along with a better profit margin is the key factor in Sega Sammy’s net income forecast raise, from ¥22 billion to ¥37.5 billion for the entire fiscal year. That amounts to about $448.9 million in US dollars, and an over $200 million jump from previous forecasts. 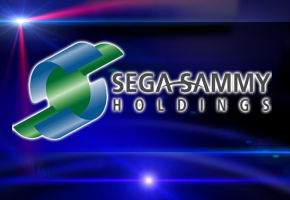 For the first half of FY2011, Sega Sammy expects a bump up to ¥24.5 billion in profit, equating to over $293 million in US dollars and a jump from first estimates of ¥17 billion. While the overall news is good, the devil lies in the details. According to a company notice issued today, sales the consumer business division–the one Sega games fall under–appeared “weak” in domestic markets like North America and Europe. “While the consumer business saw mainly sales of new titles in overseas markets hover at weak volumes, the amusement machine sales business and amusement center operations business are expected to maintain robust operating results,” the statement said. The bottom line: though a small cog in a bigger business wheel, Sega’s games aren’t pulling their weight. Expectations of Holiday success may be heavily relied upon for titles like Vanquish and even the three upcoming Sonic games to add to the trend of success and growth. Most investors, however, didn’t seem to care about that today; SGAMY stock traded at a 52 week high of $4.03 a share before settling down to close under the $4 benchmark Thursday, at $3.98 a share.